Difference between revisions of "Eclipse Testing Day 2013 Talks"
Energy consumption has become an important factor for user satisfaction, especially in the context of mobile devices, where energy consumption is highly correlated with device uptime and thus, usability. In this talk, we present a study on app store user comments showing that application users notice negative energy behavior and rank respective applications more negatively. Hence we introduce the JouleUnit tools that allow energy testing and optimization of mobile applications. Profiling is supported both locally at the developer’s desk and remotely vie a Cloud service executing applications on real Android devices while profiling their energy consumption in parallel. Developers are supported with energy consumption feedback for individual test cases, and are thus, able to identify and optimize bottlenecks within their applications influencing their energy consumption negatively. The talk will include both a theoretical presentation of JouleUnit and a live demo. <br>The speaker will present examples and case studies on how to integrate crowdsourced software testing into different types of more or less agile development process as well as the values and insights they can generate for product managers, developers and marketing staff. | Georg Hansbauer (M. Sc. Hons.) is managing director of Testbirds GmbH with its German office in Munich. Prior to his engagement with Testbirds, Georg Hansbauer gained experience in various large corporations. There he also led several projects in the field of enterprise software testing – ranging from automated tests of IT service desks to performance tests of 15,000 simulated users. | With a background in linguistics, it's not much of a surprise that Alexandra usually acts as a two-way translator between development teams and customers. As product owner for the Eclipse Jubula Project and the standalone tools Jubula and GUIdancer she is responsible for translating customer requests to user stories. 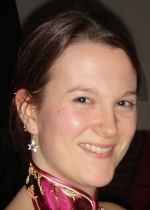 Her roles as a consultant and a speaker at conferences give her the chance to share experiences and best practices learned from the development and testing process with the community.<br>Alex's main interests in software development are how to make applications user-friendly and bringing agility to the testing process. | Dr. Frank Simon has studied computer science and did his PhD in the area of quality assurance of large IT-systems. After that he worked ten years for SQS and learned all different facets of testing activities. He headed SQS Research and invented and established new services and technologies for quality and test management. He headed a lot of national and international research projects and published results on many conferences and magazines. Today he works for BLUECARAT AG in Cologne as head of business development. Frank Simon is part of the executive board of the German Testing Board (GTB) and heads the Working Group „Software-Engineering“ within the BITKOM. | Dr. Marcus Iwanowski holds a Ph.D. in physics. He studied at the University of Stuttgart and earned his doctorate degree at the Max Planck Institute for Metals Research. He has more than 20 years of experience in the IT industry. Prior to his appointment as managing director of blueCarat Business Solutions GmbH in 2006, he had been a CEO, project manager, consultant and software developer at various IT consulting firms and had been active in the field of applied research.<br>His consulting work is focused on project management, business process management, concept design and implementation of business-oriented IT solutions. 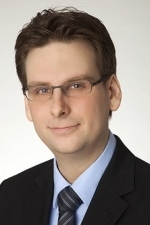 He has a special interest in the use of mobile technologies.<br>Since 2007, Dr. Marcus Iwanowski has been a guest lecturer in IT project management at Stuttgart Media University; he also runs the Stuttgart offices of BLUECARAT. Tabris is a toolkit for cross-platform development of native mobile Apps based on the Eclipse Remote Application Platform (RAP). This talk is about testing Tabris apps with MonkeyTalk. MonkeyTalk is an Open Source toolkit for automating functional tests for native, mobile, and hybrid iOS and Android apps. MonkeyTalk tests require the integration of the MonkeyTalk framework into the respective native parts of the applications. This allows record and playback testing, making it easy to get started. In this session you will see the good, the bad and the ugly of MonkeyTalk. Based on our experience of testing Tabris applications we will present some dos and don’ts for testing your own native Apps. As a round up we will discuss some further ideas regarding integration testing native and Tabris Apps. Device fragmentation presents a major challenge to mobile app development and testing. On Android alone there are thousands of different devices, each with different screen sizes, internal hardware, OS and ROM version, etc. As a consequence it has become virtually impossible to thoroughly test apps before release. Users often avoid unstable apps, leaving bad reviews or uninstalling them. Many solutions to this problem have been proposed, from SaaS platforms using real devices to crowdtesting. However none of these approaches can cover the entire spectrum of devices and use cases in the real world. Post-release monitoring of an app presents a potential solution. By monitoring an app during real-world operation, it becomes possible to detect and fix technical malfunctions before they have a serious impact on an app's reputation. We show how using tools like the Developer Garden App Monitor can make large-scale post release testing important part of the application lifecycle. Richard Süselbeck (www.sueselbeck.com) has a degree in computer science from the University of Technology Dortmund. He worked as a researcher on Distributed Systems at the University of Mannheim, with a focus on Massively Multi-player Online Games and Peer-to-Peer Networks. He presented his research at international conferences and also served as reviewer and technical committee member for over a dozen conferences and workshops. He has also taught various courses in the fields of computer networks and distributed systems at the University of Mannheim and the Baden-Württemberg Cooperative State University. Richard has worked everywhere from a bank to an archaeological dig, and enjoys getting into trouble while travelling off the beaten path. He is now a Developer Evangelist for Developer Garden, Deutsche Telekom's Developer Portal. 1.5 Testing of mobile solutions: new wine in old skins? Did you ever hold a shark as a pet? Those of you who already had the chance to live under the same roof with such an animal will know, that they are very hard to tame. They are mainly driven by their instincts and you need to ensure that they remember their lessons learned over and over again. Based on an electronic shark we will demonstrate how m2m.eclipse.org may be used to control a shark remotely. A lunifera.org vaadin web UI will send commands to the shark, who will execute them properly. Single commands and complex maneuver commands may be processed. To ensure that the shark remembers its previous lessons “taught” we will use unit tests. They will send predefined commands to the shark. Using ultrasonic sensors the unit tests get results about the location of the shark in the three dimensional room and will assert that the shark glides through the air – sorry swims - smoothly. The second test we will execute by unit tests is to ensure that the hardware parts are working properly. If commands are executed on hardware level, the hardware will send an “execution done response” to the unit test. So we are also able to test the proper functionality of hardware stuff. Florian Pirchner is an independent software engineer and works in the area of business applications for many years. He publishes articles for java and eclipse magazine and is project lead of the open source project “lunifera.org – OSGi composites for business applications”. The project aims to provide a very comfortable way to write applications based on Xtext DLSs. To cover more than just business processes, lunifera.org will also integrate machine to machine protocols to get a deep integration. Claas Wilke (30) studied computer science at the Technische Universität Dresden (TUD) and received his diploma in 2009. 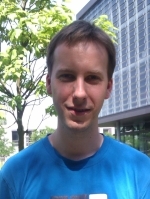 Since 2010 he is working as a research assistant and PhD student at the Software Technology Group, TUD. His current research activities focus on energy-efficient software development for mobile devices. Crowdsourced software testing is quite a new approach for testing software. Besides supporting functional testing with access to the whole range of devices, it can be used for getting new insights from an outsider’s viewpoint, especially from a customer’s or end user’s viewpoint, which is crucial for the success of any application. Crowd sourced software testing cannot replace established types of software testing but it can generate additional value for the quality of software. • What do customer’s actually think about your augmented reality app? • How well can your field sales force handle their new applications? • What do your employees think about the new HR self-services? • And does it run smoothly on every system out there? The speaker will present examples and case studies on how to integrate crowdsourced software testing into different types of more or less agile development process as well as the values and insights they can generate for product managers, developers and marketing staff. Georg Hansbauer (M. Sc. Hons.) is managing director of Testbirds GmbH with its German office in Munich. Prior to his engagement with Testbirds, Georg Hansbauer gained experience in various large corporations. There he also led several projects in the field of enterprise software testing – ranging from automated tests of IT service desks to performance tests of 15,000 simulated users. Over twenty years’ experience in building and testing enterprise desktop applications has taught us the value of cross-platform development and testing (write once, run anywhere), as well as the importance of automated tests. With the increase in customer projects involving mobile technology, an important question for us was: how do platform-independence and test automation fit in? - What is a sensible test strategy for mobile applications? - How well can mobile applications be tested automatically? - How does continuous integration and testing work for mobile projects? - How realistic (or desirable) is cross platform development and testing for mobile? Over the course of the talk, we present the projects, our experiences, a short demonstration, the answers to our questions, and the new questions that arise from them. With a background in linguistics, it's not much of a surprise that Alexandra usually acts as a two-way translator between development teams and customers. As product owner for the Eclipse Jubula Project and the standalone tools Jubula and GUIdancer she is responsible for translating customer requests to user stories. Her roles as a consultant and a speaker at conferences give her the chance to share experiences and best practices learned from the development and testing process with the community. Alex's main interests in software development are how to make applications user-friendly and bringing agility to the testing process. Testing of mobile solutions: new wine in old skins? According to ISTQB testing includes activities “to determine that products satisfy specified requirements and that they are fit for purpose”. This technique independent understanding assumes an easy migration to mobile solutions. So what’s new in testing mobiles? It doesn’t really differ if test execution is done on a mobile or on a desktop application. However, mobile devices generate a new ecosystem, having strong impacts on the objects and requirements to be tested as well as the test process itself. - Pitfalls in testing requirements: E.g. don’t forget to test energy efficiency! - Pitfalls in testing objects: E.g. don’t forget to test the network provider! - Pitfalls in testing environment: E.g. don’t ignore necessity to have a dedicated test environment with virtualized services to test interoperability! - Pitfalls in testing processes: E.g. don’t create a separate test branch for all target devices! Both speakers come from BLUECARAT, a German SME for IT consulting and software development. BLUECARAT has a dedicated business unit for mobile business and collected a lot of experiences in developing, testing and establishing mobile solutions (e.g. for Deutsche Bahn). Today BLUECARAT has an active role within BITKOM’s Task force “Mobile Business” to work together with other partners to create cross-platform guidelines for high-quality mobile solutions. Dr. Frank Simon has studied computer science and did his PhD in the area of quality assurance of large IT-systems. After that he worked ten years for SQS and learned all different facets of testing activities. He headed SQS Research and invented and established new services and technologies for quality and test management. He headed a lot of national and international research projects and published results on many conferences and magazines. 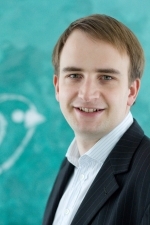 Today he works for BLUECARAT AG in Cologne as head of business development. Frank Simon is part of the executive board of the German Testing Board (GTB) and heads the Working Group „Software-Engineering“ within the BITKOM. Dr. Marcus Iwanowski holds a Ph.D. in physics. He studied at the University of Stuttgart and earned his doctorate degree at the Max Planck Institute for Metals Research. He has more than 20 years of experience in the IT industry. Prior to his appointment as managing director of blueCarat Business Solutions GmbH in 2006, he had been a CEO, project manager, consultant and software developer at various IT consulting firms and had been active in the field of applied research. His consulting work is focused on project management, business process management, concept design and implementation of business-oriented IT solutions. He has a special interest in the use of mobile technologies. 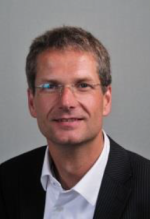 Since 2007, Dr. Marcus Iwanowski has been a guest lecturer in IT project management at Stuttgart Media University; he also runs the Stuttgart offices of BLUECARAT.